Inspired by the classic American lemon meringue pie. 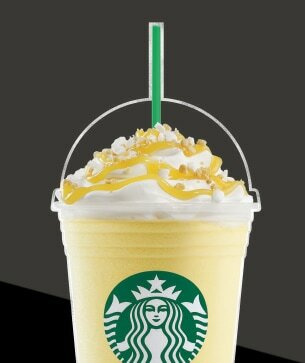 A blend of refreshing lemon sauce and vanilla syrup, topped with whipped cream and lemon drizzle, and finished with a Cookie & Meringue topping. Because lemons are high in vitamin C they can prevent the disease scurvy which was common among sailors stuck on ships for months.